Photographer Boza Ivanovic artfully transforms the traditional animal-visitor dynamic in Out of the Wild. These animals are at once as terrifying as they are hauntingly beautiful. - Special interest for environmentalists, conservationists, animal enthusiasts, and photography fans; Ivanovic has worked for numerous publications, such as National Geographic. Zoos work to preserve nature, protecting animals from the encroaching human presence in their native environments. Cages and glass - these barriers exist to protect both the animals and the visitors. 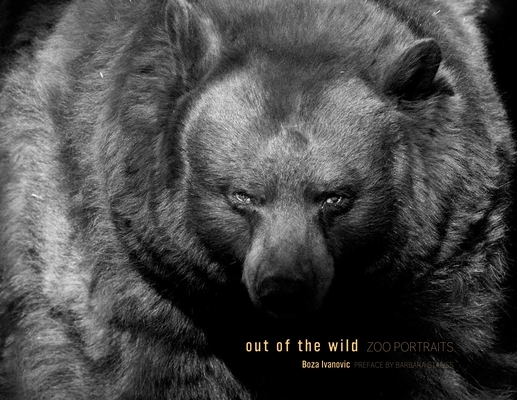 Photographer Boza Ivanovic, however, artfully transforms this dynamic in his latest book, Out of the Wild: Zoo Portraits. His photographs pull viewers past protective boundaries, reinstating a sensation of awe and even fear. Here, zoo animals appear as they do in nature - without the perceived safety of barriers. As a result of his careful presentation, Ivanovic inspires a tension in his viewers. These animals are at once as terrifying as they are hauntingly beautiful. They emerge from the darkness or swoop gracefully toward the lens. Ivanovic's carefully crafted images restore the majesty of these creatures, revealing that there is still a wild spirit in these animals' hearts - whether in the wild or out.